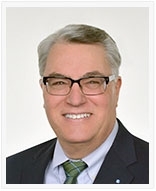 Mr. Hegyi has over 40 years of experience in the insurance risk engineering industry. He is responsible for managing jurisdictional and machinery breakdown risk engineering services in the Midwest. In his 35 years with Zurich, Mr. Hegyi has been involved in many initiatives to further risk engineering and jurisdictional compliance. He is also vice president of the Wisconsin Boiler Inspectors Association.